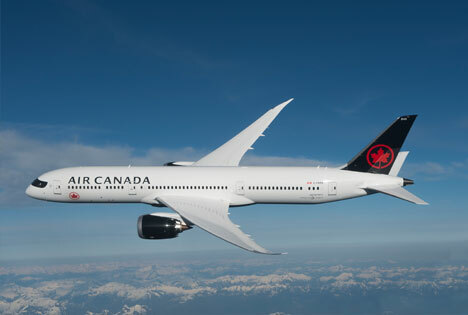 Yesterday, Air Canada launched the first of two new international Boeing 787 Dreamliner routes to Europe with a celebration prior to the departure of the carrier's inaugural flight from Vancouver to Zurich. Tomorrow, the airline will launch non-stop flights to Paris, marking five non-stop European routes from Air Canada's YVR hub. "We are delighted to launch new non-stop flights from Vancouver to Zurich and to Paris, both onboard our state-of-the-art Boeing 787 Dreamliners. The strategic addition of these seasonal international flights further strengthens our YVR hub which combined with our extensive North American network, provides excellent options for travelers from BC and the North American west coast to Europe, and as well as for European visitors and beyond to western Canada and the Pacific Northwest," said Benjamin Smith, President, Passenger Airlines at Air Canada. "These new flights are great news for travellers and for tourism," said Lisa Beare, Minister of Tourism, Arts and Culture. "As more Europeans choose to vacation in British Columbia, I'm pleased to see Air Canada creating options to meet that demand. Having more direct flights makes travelling to our beautiful province easier for people. This means more visits to B.C. and more jobs for British Columbians." All flights provide for Aeroplan accumulation and redemption, and for eligible customers, priority services and access to Air Canada's Maple Leaf Lounges. From its YVR hub this summer, Air Canada offers up to 1,293 flights each week non-stop to eight destinations in Asia, three destinations in Australia, five destinations in Europe, 16 destinations in the USA, 22 destinations in Canada and two destinations in Mexico and the Caribbean.